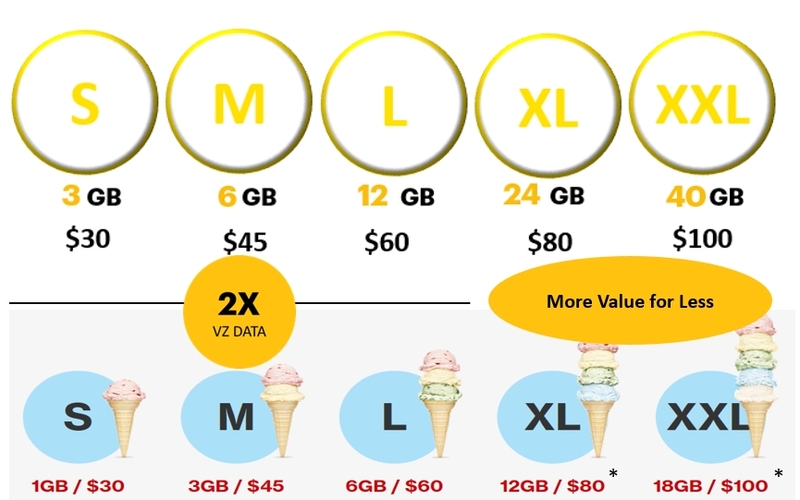 This morning, Sprint announced a new line of plans called Better Choice that they are pushing as being a better value than Verizon’s “The Verizon Plan.” They come in S, M, L, XL, and XXL size packages, which of course, all offer more data at lesser prices than Big Red’s similar line. Don’t forget that each line you attach to these plans will cost $20, but that line access does include unlimited talk and text. Sprint will also let you go over your data allotment by throttling you down to 2G speeds. If you don’t want 2G speeds, you can add-on extra data each month for $15 per GB. The plans go live tomorrow, Friday, February 19. I would attempt to add more on whether or not these are good plans, but honestly, I can’t keep up with the number of Sprint changes to plans that are introduced each week.